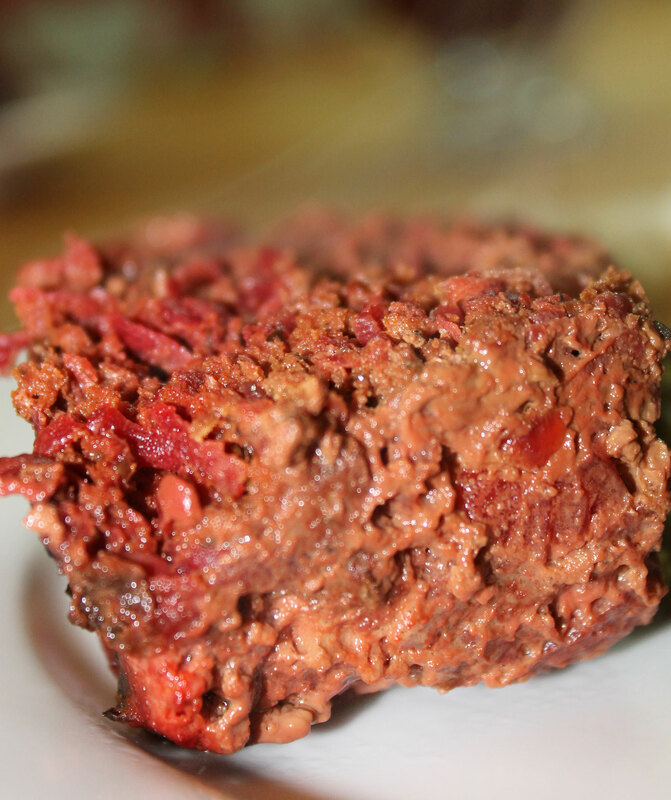 I came up with this recipe when I was trying to make some beet and rosemary burgers that I found at this site…. Unfortunately, as I was making them, it became very clear that there was no way that the mixture had would work as a burger… I suspect it was too little meat and too much beet. It just kept falling apart. 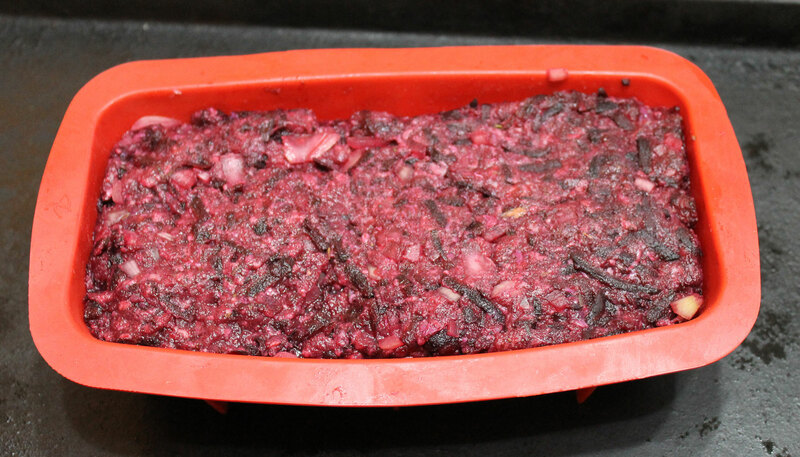 Thinking on my feet, I decided to turn it into a meatloaf (because I often add veggies to meatloaf to add extra moisture and nutrition) and what else could I call it but a Beet-loaf…. This was served with a celeriac mash, gravy (leftover from Thanksgiving and frozen) and steamed broccoli. Bake in a 190°C/350°F oven for around 45 minutes until it is cooked. Comfort food at it’s best…. 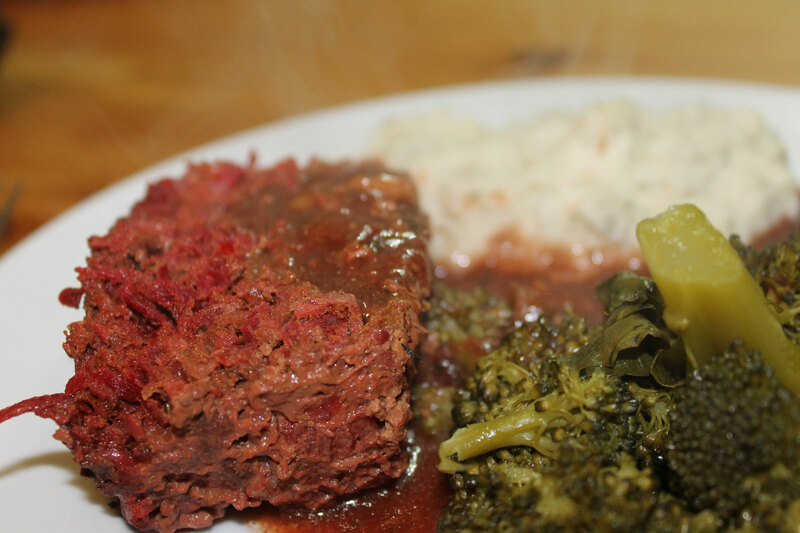 This entry was posted in Autoimmune Protocol Foods, Recipes and tagged AIP-friendly, beet-loaf, beets, clean eating, comfort food, gluten-free, grain-free, healthy, meatloaf, paleo, primal, sugar-free. Bookmark the permalink.